Mad Science of Western New York is now booking Birthday Parties!!! Mad Science of Western New York is now booking Birthday Parties. Give your child the ultimate science-themed birthday party! Perfect for children aged 5-12 years old! Mad Science birthday parties entertain children of all ages with exciting, high-energy, interactive shows. Our aim is to show kids that science is everywhere and it's COOL! Our dynamic presenters and exciting demonstrations will entertain your child and friends. To book your kid’s birthday party, Please call or email us today! Mad Science of Western New York is Opening Soon! Mad Science of Western New York will start booking Birthday Parties, Special Events, Workshops and Camps soon. Our Rochester Mad Science Lab is located at 333 Metro Park, Bldg C, Suite F-102, Rochester, NY 14623. At Mad Science, our mission is to spark the imagination and curiosity of children by providing them with fun, interactive and educational programs that instill a clear understanding of what science is, and how it affects their world. “We will be leveraging 30 years of Mad Science Group’s experience and bringing innovative programs which will help kids in Western New York communities learn about science through fun filled After School Programs, In-Class Workshops, Birthday Parties, Special Events, Summer and Holiday Camps”, Manasi Parikh, President & Owner. OPTIMUS PRIME is asking students to "Be the Spark" and help humankind by raising awareness of the benefits that NASA technologies contribute to our everyday lives by participating in the NASA OPTIMUS PRIME Spinoff Promotion and Research Challenge (OPSPARC). The challenge hopes to inspire to kids ignite their creative thinking with the OPTIMUS PRIME Spinoff Promotion and Research Challenge. Just like OPTIMUS PRIME, the leader of the AUTOBOTS, NASA spinoffs start out as one thing, and can convert into something else. Technologies originally developed for one of NASA's many missions can be modified into something else- something that may be used in your home, school or environment. As part of OPSPARC 2018, students will give life to NASA inspired spinoff ideas, just like the "Allspark" gives life to TRANSFORMERS robots, by creating a "Glog;"an online multimedia poster via Glogster. There are three levels of the competition- the Elementary School Category for students grades 3-6, the Middle School Category for students grades 7-8 and the High School Category for students grades 9-12. The challenge will run from September 2017 - February 2018. 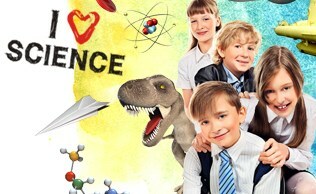 The Elementary School level (grades 3-6) is being sponsored by Mad Science, the leading science enrichment provider for children ages 3-12. Students will research spinoffs found in their homes or schools, and just like an engineer, will use an engineering design process to take an everyday object and use it in new ways that will solve a problem learning invaluable STEM inspired skills. Students will show off their work by using videos, drawings, pictures and text. Twenty teams comprised of middle and high school students will be invited to work with college engineering student mentors to further develop their spinoff concept within a 3-D, multi-user, virtual world setting through the creation of computer-aided design (CAD) models and application of engineering and business analyses on their spinoff concepts. “The submissions we received last year as part of OPSPARC 2017 were incredible- it is going to be hard to top in OPSPARC 2018, but I am confident that contestants are up to the challenge to ‘Be the Spark’,” said Nona Cheeks, Chief, NASA Goddard’s Strategic Partnerships Office at the Goddard Space Flight Center in Greenbelt, Maryland. OPSPARC winners will come to NASA Goddard for a 2-day workshop and awards ceremony in the spring of 2018. For more information, and to register for the contest, please visit the OPSPARC website at: https://nasaopsparc.com/. NASA and Mad Science have a long-standing collaboration through which Mad Science offers an after-school program and summer camp called the NASA Academy of Future Space Explorers. TRANSFORMERS, AUTOBOTS and OPTIMUS PRIME are trademarks of Hasbro are used with permission (c) 2017 Hasbro. All Rights Reserved. Mad Science Group Inc., in collaboration with Rube Goldberg Inc., has launched the Elementary School Rube Goldberg Machine Contest®. A Rube Goldberg Machine™ is a comically involved, complicated invention, laboriously contrived to perform a simple task. This year the task is “open an umbrella”. Mad Science has made its way to Finland! We would like to introduce Galina Dubova and Alexandr Stolberg; the new owners of Mad Science of Pirkanmaa, in Finland.